In the quiet hours of the night, one of my best friends and next door neighbor, passed away from cancer. Just a week ago, we celebrated her 39th birthday in the hospital. Like one of the great synchronicities in life, she passed on in the hospice center where I used to volunteer. All of the nurses I cherished took extra care with her because she was my family. I’ve lost beloved relatives before and sat with the dying many times in hospice, but this is something different. I know she’s in a better place. I do. But I still miss her. I ache from missing her. I’ve talked about her here before under another guise. She was the friend who discovered she was a piano prodigy over two years ago when she took her first piano lesson. She played Mozart that day, and her teacher and the rest of us were totally floored. Soon she was playing Chopin at local concerts. 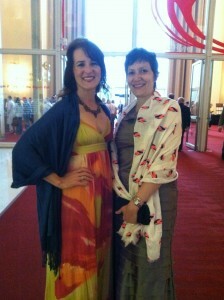 A famous maestro was interested in teaching her, and there was also interest in her performing at the Kennedy Center. Then she got sick, and it all went away. That’s been one of the other great tragedies, besides the horrible decline of her health and body. She’d found this incredible gift inside herself, was poised to share it with the world, and then the door closed. I won’t say the music died, but it did. She couldn’t play anymore, and it crushed us all. Especially her. I won’t say goodbye because I know this isn’t the end. We’re always connected. Always. But I will share what I will miss about her. How we’d always have hibiscus tea together and chat for hours. How much she loved it when I cooked her chocolate pudding and brought it over to her. How passionate she was about women’s rights and helping others. How bright her brown eyes looked when I would share special book news with her. How she and I talked about life and illness and death because I was the only one she could talk to about her fears. How much she loved the ballet when I took her there. And her laugh…I can’t forget to mention that. There have been lots of tears, and there likely will be many more. She lived right next door. Everywhere I turn, she’s there. Her husband needs us all now, and we’re going to be there for him. But we will all feel the loss of her deeply when we are together from now on. As we will tonight. He wanted to have a BBQ for all of us and the few family members who were able to come from Europe. I expect there will be more tears as we wait for her to come out the back door like she used to, and she never comes. So, farewell, my beloved friend. Having recently lost my Aunt who was such a part of me, I feel you pain. I pray you will find comfort and peace with those who knew her. That heartache takes such a long time to fade, but the good memories, will, I pray, overtake the pain of loss someday. My thoughts and prayers are with you. My heartfelt sympathies to you and her family. She sounds like a great person that any person would be lucky to call a neighbor and even better a friend. Words are never enough. I grieve for your lost as there are people in our lives that are simply irreplaceable. I pray that as time passes you remember your sister of your heart with joy when those pockets of life remind you of her. I love how she discovered her gift for playing the piano and was able to leave recordings for you to soak in. In the Word it says that whatever we bind on earth is bound in heaven. I know that she is playing amazing sonatas above.